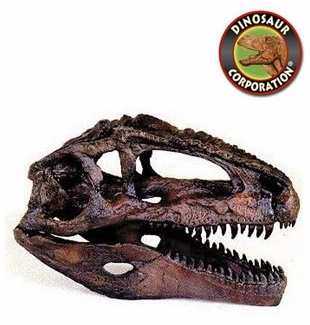 Giganotosaurus skull. Fossil replica. Giganotosaurus was a genus of carcharodontosaurid dinosaurs that lived in what is now Argentina during the early Cenomanian age of the Late Cretaceous Period, approximately 99.6 to 97 million years ago in Argentina.